Nechache. 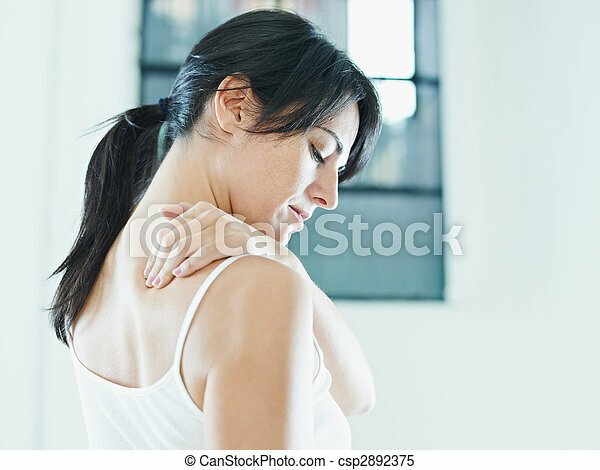 Woman massaging neck. side view, copy space.